You are bison. You are rock. You are cruise ship. You are everything. 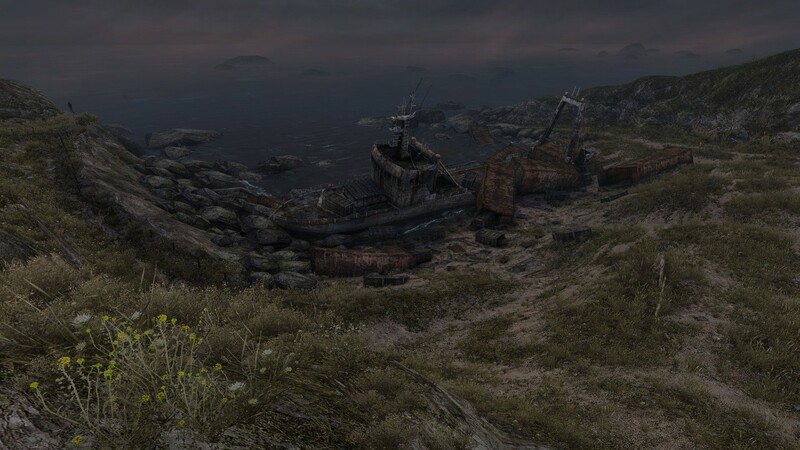 Open world games often boast the fact that the mountain you see in the distance is an actual place you can reach. 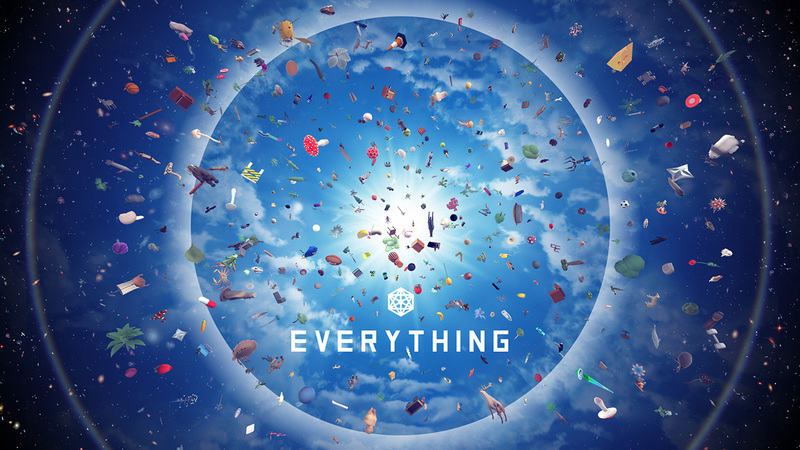 Everything, an interactive toy-box of sorts, boasts that if you see it, you can be it. Whether that’s a whale deep in the ocean, or an eagle soaring through the skies, in Everything you can take control of and see the universe from the perspective of just about anything imaginable. It’s actually a far more ambitious game than the minimalist graphics may let on; there’s well over thousands of things here that can be controlled, interacted with, and placed in any number of odd circumstances. Through the first few hours with Everything, the game will introduce all sorts of ways in which to experience the game’s universe. For example: as a penguin you can waddle around the world completely alone, or choose to join up with fellow penguins. A group of penguins can then initiate a dance that also allows for more penguins to spawn in and join. The same applies to everything else in the game. There’s also the ability to switch control to anything else that you might discover. That includes blades of grass, ladybugs, lawn chairs, houses, continents, planets, schools of fish, and just about anything else you can imagine. All of these things may animate slightly differently (a penguin waddles, a bison somersaults, a fence slithers around), but they all retain the same level of interaction. (Watching as a dozen or so stop signs dance together in unison is just as great as it sounds.) Through all of this, there’s a pretty clear message that Everything is trying to present. A message that becomes far more apparent when the narration of Alan Watts kicks in. Throughout Everything are optional recordings from a number of talks given by Alan Watts from 1965 through 1973. Each are just a few minutes long and tend to present a specific idea. In these talks Alan Watts discusses ideas about life, existence, our role in this world, and many other things. These talks alone are fascinating and inspiring. Used as narration for this game, however, it serves as a way to help present an overarching message. One that attempts to demonstrate the importance of empathizing with all things and understanding our own impact and role in the universe. This works, all of this comes together, because Everything is also perfectly willing to be silly. It specifically allows for the possibility to transform planets into cows that will ultimately dance around a sun that’s transformed into a duck. I specifically got an absurd amount of joy by filling the universe with untold numbers of penguins that grew far larger than an entire galaxy. At a certain point, Everything lets go of the training wheels and allows for complete control of every aspect of every single thing within the game. With it you can make insects tower over buildings, construct dances with participants ranging from lions to toilets, and ultimately just have fun playing around with the tools provided. When you’re not playing, Autoplay will take over and continue the game for you. Perhaps this is some sort of commentary on the fact that the universe will ultimately continue without us, or it’s just a neat feature that also can be used as a documentary mode of sorts. Documentary mode specifically switches randomly between any controllable thing, presents an excerpt from the current “things” Wikipedia page, and can be joined with a playlist of the Alan Watts commentary that you’ve already discovered. This makes for a nice screensaver for when you’re not playing and is something I certainly appreciate having. As you can imagine, Everything most assuredly isn’t for everyone. This is a very specific kind of thing, not unlike Flower, where the point is simply to be­ a part of this universe. It’s a very unconventional kind of game that will likely affect people very differently. For myself, it left a strong impact on me, one that I’m still trying to process days later. It caused me to become very introspective about my own being while flip-flopping around as a woolly mammoth, which is something I can’t say has ever happened to me before. Everything strips out what typically drives us towards the types of games we play. There’s no objective, rules, or scores; there’s just Everything. It presents a toy-box that’s there to simply be fun to play with and, potentially, something that’ll get you thinking about your own life and how you fit into this bizarre universe that we’ve all found ourselves in. It’s not without faults, some parts of the tutorial segments can be unclear or a bit slow for my liking, but none of that detracts from the wild journey I went on. 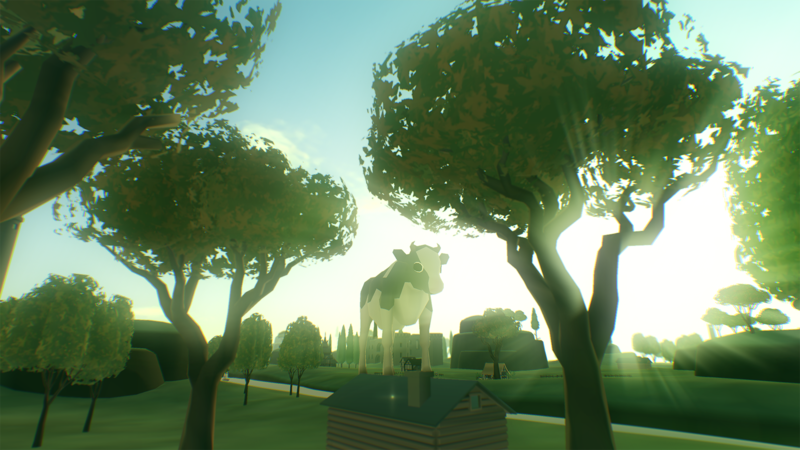 Everything is odd, thought provoking, and quite unlike anything else I’ve ever played. A copy of this game was provided by the publisher for review purposes. For more info on our review policy click here. The fact that you can actually control everything you see. Transforming entire galaxies into giant space penguins. Watching a dozen traffic lights dance together. Some parts of the 'tutorial' can be a little unclear and slow at times.